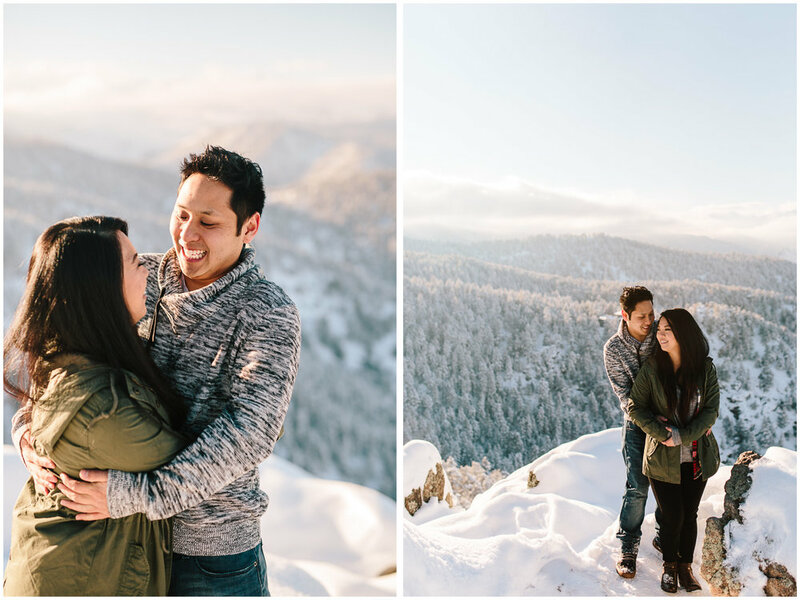 We are so excited to share Sarah and Kobi’s snowy engagement session with you! The snow was a bit unexpected as this was the beginning of November, but that’s Colorado for you. We truly could not have asked for a more perfect winter day! The sun was out and the snow was glistening. Sarah and Kobi were such good sports, happy to trek through the deep snow to get some of our very favorite photos. Marco and I loved getting to hang out with them and we are so excited to celebrate their wedding next summer! Enjoy these highlights from their engagement session at Lost Gulch Lookout in Boulder, Colorado.